Oil changes should never be underestimated. If you think it may be time to replace your current engine oil, then you’re probably correct. There are signs you can look for that indicate your oil needs to be changed, and they should not be ignored. Drivers could change their oil every day, and they would only be prolonging the lifespan of their engine. If you think that it’s time to change your oil, then there’s a few things you can do to help make up your mind. First and foremost, you want to check the oil to find out what condition it’s in and how full the oil is. Secondly, you want to consider how long it’s been since your last oil change. The key to keeping your car in tip-top condition is staying ahead of oil changes, and not letting the oil degrade to the point that it must be changed immediately. The following list contains some of the most common signs that you’re in need to replace your engine oil. 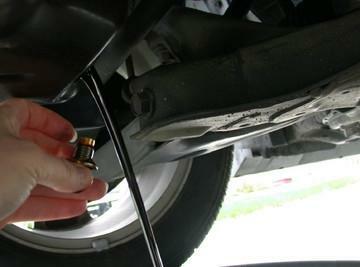 Low oil- Low oil can be caused by oil consumption, an oil leak, or from simply going too long between oil changes. Always make sure the oil is at least topped off, if not change it when it does get low. Dark oil- Oil is supposed to be transparent and amber colored. If it becomes overly cloudy, black, or smells, then it needs to be changed immediately. Oil that is too contaminated doesn’t provide your engine with the lubrication and cleaning properties that it needs. Contaminated oil- Engine oil collects can become contaminated when water or other substances finds its way into the engine. Any contaminated oil should be changed immediately. It may also be a sign of a larger problem with your engine, that you will want to have looked at, particularly if the contamination is from water or coolant. Loss of power- Dirty or low engine oil will drop your horsepower. If you notice slower acceleration or a general lack of power (on a minor scale), then you may want to start with fresh and clean oil. Noises- When oil gets low, it can cause engine noises such as knocking or ticking sounds. This also means that the components that are supposed to be lubricated by the oil are not, and that they’re wearing faster than they normally would. Warning lights- Most newer vehicles are equipped with technology and diagnostic systems that help remind you to service the engine. This includes warnings that are triggered by the number of miles you have driven, or that are geared towards telling you that the oil is low. Either way, it’s a handy reminder to get your vehicle looked at immediately. Let the experts at your Southern California Ford Dealers help keep you and your vehicle on the right track. From oil changes to complex repairs, we have you covered no matter what make or model you drive. Contact us today to learn what else your Ford dealers can do for you. Call or come in today to talk to the professionals at your local Southern California Ford Dealers.